There’s no such thing as too many Gmail tips, is there? Gmail has an appealing interface and several useful features that give it an edge over other webmail services as well as desktop email clients. Its popularity has developers scrambling to build extensions and plugins for it all the time. If you are a Gmail user, you have an endless stream of tricks and extensions to make the best of it. We’ll explore some of them in this article, then point you in the direction of 20 more Gmail extensions! Gmail Offline: This official Chrome app from Gmail allows you to process your email even when you don’t have Internet access. Boomerang: This app allows you to schedule emails and follow up on them with minimal fuss. It works on Chrome, Firefox, and Safari. Checker Plus for Gmail: This Chrome extension is the ultimate desktop notifier for Gmail. It lets you to read emails and even delete them without opening up Gmail in your browser. With those favorites out of the way, let’s move on to ten Gmail tips that will promote you to the category of Gmail power user. We’ll be using Gmail settings often, so you should know where to find them: click on the gear icon below your profile image (top right) in Gmail and then click on Settings in the dropdown that pops up. As far as possible, you don’t want to be shuttling between multiple email accounts on a daily basis. Set up your main Gmail account to do the heavy lifting — sending, receiving, and sorting emails. You can do this from Settings > Accounts. Look for the Send mail as and Check mail from other accounts options and follow the guided setup process to allow your primary email to send and receive (via POP3) messages on behalf of another account you own. You’ll have to repeat this process for every account that you want to add, and that’s where these mail server settings Setting Up An Email Client? Here Is Mail Server Info For The 3 Biggest Email Providers Setting Up An Email Client? Here Is Mail Server Info For The 3 Biggest Email Providers Do you still use any desktop email clients? The last one that I ever made any significant use of was Outlook Express, and that feels like forever ago. Since then, I've given both Thunderbird and... Read More will come in handy. If you’d like to delegate the task of processing email to someone you trust, you can also grant access to your account from this (Accounts) section. 1. If you want to receive emails via IMAP instead of POP IMAP vs. POP3: What Is It and Which One Should You Use? IMAP vs. POP3: What Is It and Which One Should You Use? If you have ever set up an email client or app, you will have certainly come across the terms POP and IMAP. Do you remember which one you chose and why? If you are not... Read More , you can set up forwarding from each of your accounts to your primary Gmail account. 2. While adding an email address to “send mail as”, you’ll need to decide whether you want Gmail to treat the email as an alias. Unsure what that is? Our guide to Gmail aliases Divide & Conquer Your Email With The Power of Gmail Aliases Divide & Conquer Your Email With The Power of Gmail Aliases When it comes to email organization, the immediate reaction is often all about folders, tags, filters, priority marks, and things of that sort. Not that any of those are bad - in fact, most of... Read More is here to help. Mute group emails by clicking on Mute from the More dropdown in a message. This silences notifications for those emails while continuing to bring you fresh messages in the thread. Hide unused labels via Manage labels from the sidebar or via Settings > Labels. Display more contacts and messages per page via the Maximum page size option under Settings > General. Load Gmail faster by switching to its basic (HTML) version. It’s less pretty and slick than the regular version, but is quite the time saver when you’re dealing with a slow Internet connection. If you want to micromanage the Gmail interface and workflow Customize Gmail's Online Interface With Gmelius [Firefox, Chrome & Opera] Customize Gmail's Online Interface With Gmelius [Firefox, Chrome & Opera] Remove features you don't like from Gmail, leaving behind only the things you do. 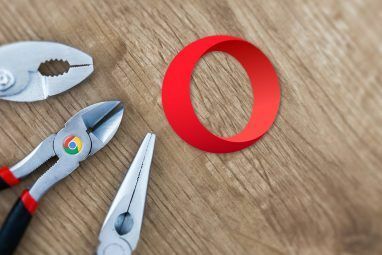 Gmelius is a simple extension for Chrome, Firefox and Opera that lets you turn off parts of Gmail you're not interested... Read More , the Gmelius extension for Chrome, Firefox, Opera, and Safari is the perfect way to go about it. It allows you to transform the look of your inbox, convert emails into Google Calendar events, block email tracking attempts, and do much more. Gmvault is a free and open-source desktop program that makes Gmail backups painless. Install it on your Windows, Linux, or Mac computer and run the full sync mode to back up your entire Gmail account. Then use the quick sync option to keep the backed-up repository up-to-date on a regular basis. You can use Gmvault to back up multiple Gmail accounts and even encrypt saved emails. Another reliable way to back up emails is by installing a desktop email client and adding your Gmail account in it to save your emails to the local machine How to Download & Back Up Your Gmail & Other Google Data How to Download & Back Up Your Gmail & Other Google Data We’re storing more and more data in the cloud these days. Email, contacts, documents, photos, calendar entries - you name it, it’s on Google’s servers. But what happens when the services we rely on go... Read More . To ensure that a copy of your emails stays on the server, you’ll need to do this using IMAP. You can also download a copy of your Gmail data How to Use Your Downloaded Gmail Data How to Use Your Downloaded Gmail Data You can finally download a copy of your Gmail data! The MBOX file Gmail gives you is ideal for keeping an offline backup or moving all your emails to a new service or Gmail account. Read More with Google’s own Takeout feature and import that data into your email client. Note: If your email client is unable to sync emails from your Gmail account, it could be because you haven’t enabled IMAP access. To change that, go to Settings > Forwarding and POP/IMAP in Gmail on the web and under IMAP access, select the radio button next to Enable IMAP. Suppose your Gmail id is muo.reader@gmail.com. This is the same as muoreader@gmail.com, which is the same as m.u.o.r.e.a.d.e.r@gmail.com, which is the same as mu.or.re.ad.er@gmail.com. Seriously, the dots don’t matter. Also, if you append any random text beginning with the ‘+’ sign after your username, that text doesn’t count either, so muo.reader+longtime@gmail.com would be the same as muo.reader@gmail.com. Emails sent to any of the above addresses end up in your inbox associated with the original id: muo.reader@gmail.com, but you can use these username variations to direct specific emails to specific folders using filters. For example, you can share the id muo.reader@gmail.com with your colleagues and direct emails received at that address to a folder named Work. Similarly, you can share muoreader@gmail.com with your friends and direct emails received at that address to another folder, say, Personal. You can even use this trick to track/block spammers 1 Awesome Gmail tip You Don't Know about. Seriously. 1 Awesome Gmail tip You Don't Know about. Seriously. Read More , but you should know that it doesn’t work with Google Apps accounts. This is not the only way you can use Gmail filters to organize your inbox. Head to Settings > Filters and Blocked Addresses to set up filters for catching Google Calendar event notifications, newsletters, task reminders, etc. in appropriate, easy-to-find folders. And don’t forget what Gmail labels can do for your inbox Rediscover Gmail Labels and Finally Tame Your Inbox Rediscover Gmail Labels and Finally Tame Your Inbox There are plenty of tricks to deal with email overload, but there's one right under your nose that you might not be using: good old Gmail labels. Read More (and your sanity). Make use of them! Mark as Read Button to mark emails as read with the click of a button. Authentication icon for verified senders to weed out emails from scammers by highlighting authentic emails with a special key icon. Canned Responses to avoid typing the same text snippets in emails Email Faster & Better With Canned Responses Email Faster & Better With Canned Responses Don’t have time to cook lunch? No problem, grab a can. Need some camping chow that won’t go bad? Easy, get some canned food. Tired of typing the same email replies? Try canned emails! Think... Read More over and over. Preview pane to load individual emails in a pane instead of on a new page, à la Outlook. You can choose from a horizontal split view or a vertical split view once you enable this feature. Multiple Inboxes to split up your inbox into several sub-inboxes for convenience. You can group messages based on which account they were sent to, whether they’re starred, whether they contain attachments, etc. Auto-advance to automatically move on to the next message in line after you process an email. If you use Google Drive, the cap of 25MB on the file size of Gmail attachments is a barrier that’s as good as non-existent. That’s because you can send huge files as attachments by linking them directly to your email from Google Drive. This process also works in reverse, i.e. you can save Gmail attachments directly to Google Drive. Want to use Dropbox for saving and uploading attachments? Dropbox for Gmail is what you need Dropbox for Gmail: Why Google Chrome is Now the Best Dropbox Client Dropbox for Gmail: Why Google Chrome is Now the Best Dropbox Client Dropbox, one of the best cloud storage providers, requires a local client installed on your computer to be truly useful. However, if you use Google Chrome, you might not need that any more. Read More , but it works on Chrome only. That’s why you might also want to check out Kloudless [No Longer Available], which works on Chrome and Firefox and supports Dropbox, Box, and Google Drive. If you’re using Dropbox or Google Drive, look for the icon corresponding to that service in similar locations as above. Even if you can’t put off email every morning Can't Put Off Email Every Morning? Try This Ritual Instead Can't Put Off Email Every Morning? Try This Ritual Instead Starting your day the email way is regularly put down – even though most of us do it. Is checking email after waking up really so bad? Read More , it’s smart to have an email ritual that works for you, preferably one that involves dealing with email in batches at fixed times. Batched Inbox is great for that and works across all major browsers. The service directs incoming email to a special folder with the label BatchedInbox and then at specific intervals (chosen by you! ), it moves those emails to your inbox. What if you want certain emails or messages from certain contacts to skip the BatchedInbox label? That’s not a problem. You can configure such emails to go the inbox directly as and when they arrive. You can even batch updates from social media sites like Twitter and Facebook. If you want to learn more about Batched Inbox before linking it to your Gmail, this FAQ page tells you all you need to know about it. You know power users don’t fool around with mouse pointing and clicking, don’t you? 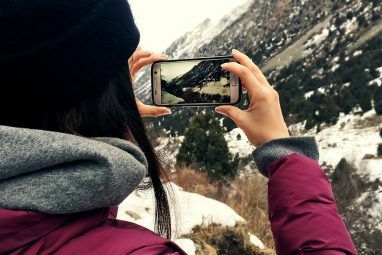 They head straight for the keyboard shortcuts Keyboard Shortcuts You Aren't Using In Your Favourite Web Apps Keyboard Shortcuts You Aren't Using In Your Favourite Web Apps Keyboard shortcuts aren't just for desktop apps: your favourite web apps use them too. From Gmail to Trello, from Facebook to Twitter, learning keyboard shortcuts is the easiest way to do everything faster. Read More everywhere possible. Some users even customize the shortcuts to remember them better, and you can do the same. But first you’ll need to enable the Custom Shortcut feature via Settings > Labs. Once you do that (and save changes), you’ll see a new tab called Keyboard Shortcuts in Settings. Switch to it to remap Gmail shortcuts for various actions. While you’re adding custom shortcuts, you might also want to add handwriting input support to Gmail. This allows you to customize the language and keyboard layout for typing emails. You can enable input tools under Settings > General > Language. If the Enable input tools checkbox doesn’t show up, click on the Show all language options link in the Language section to reveal it. Like any other digital entity, your Gmail account is not immune to hackers and scammers of various stripes. The best you can do to protect it is to keep a close eye on your Gmail account for anomalies and beef up Gmail security 5 Ways to Improve Your Gmail Security in Under 5 Minutes 5 Ways to Improve Your Gmail Security in Under 5 Minutes Email security is always important, but using Gmail can lead us into a false sense of security. If you use Gmail, these vital tips will save you from the inevitable headaches and grief later. Read More with tools like email encryption and two-factor authentication. As if hackers don’t give you enough to worry about, Google insists on prying What Does Google Know About You? Find Out and Manage Your Privacy and Security What Does Google Know About You? Find Out and Manage Your Privacy and Security For the first time, search giant Google is offering a way for you to check the information it has about you, how it is gathering that data, and new tools to start reclaiming your privacy. Read More into your digital affairs. The only consolation is that Google now gives you a roundup of the data it has on you and the option to clear that data. You’ll find both of these in the My Account section. To access it, first click on your profile picture at the top right in your Gmail inbox and then click on My Account from the dropdown that follows. With all the apps that request my gmail to login, google probably knows more about me than I do. In the My Account section, you’ll find three sub-sections: Sign-in & security, Personal info & privacy, and Account preferences. Go through each of these sections and check every last setting. You’ll be able to see which third-party apps have access to your Gmail, whether you’re seeings ads tailored for you, whether Google is recording your web search queries, etc. Tweak all these settings to your liking and to ensure maximum privacy for your Google account. If you ever happen to lose access to your Gmail, these details can help you regain access to it by establishing your identity as the true owner of the account. You’ll thank us for this reminder if you’re ever faced with Google’s taxing account recovery process. Wow, gmail recovery is a nightmare. Requires the EXACT DATE you signed up for mail, or create a new account. So much no. 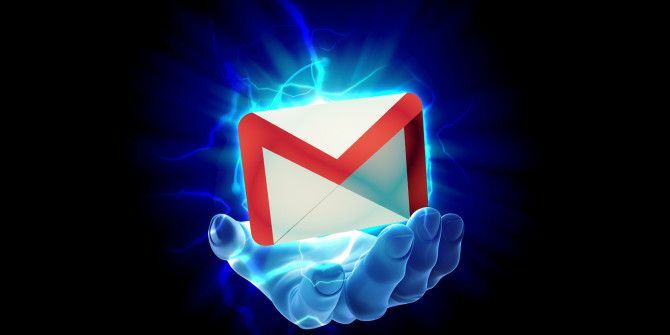 Are You Ready to Become a Gmail Power User? Gmail has its critics, largely due to its intrusive approach to email. But its high degree of convenience 6 Simple Tricks to Reduce Email Stress 6 Simple Tricks to Reduce Email Stress Dealing with email is the best part of my day. Said no one ever. You need all the tips you can get to manage your email inbox? We can help you out! Read More seems to trump all its negatives, if Gmail’s huge user base is anything to go by. In any case, if you use Gmail, you might as well make the best of it. If you had to choose one Gmail feature or extension as your just-can’t-do-without -it favorite, which would it be? Share your choice with us in the comments! 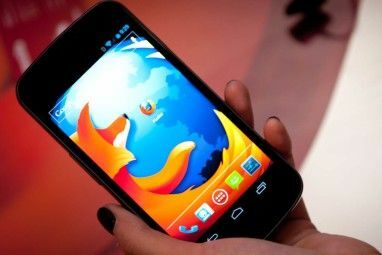 Explore more about: Browser Extensions, Gmail, . That's a amazing list of tools, thank you! Also, If you don't mind, I want to suggest another helpful extension - Deskun. I use free Gmail features like mail tracking, sending later, message templates. It hasn't failed me yet. Instead of these golly-geewhiz extensions, all I would like is the ability to sort my email by Sender, Topic and/or Date. Also I would like the ability to selectively empty my Trash, instead of ALL or NONE. Unfortunately, Google is unable or unwilling to provide these capabilities which have been available in other email clients for decades. I chuckled to myself because the 1st 2 on the list actually made me pause and try to recall; I couldn't. Now that I know I can't remember, I'm on my way to finding and saving all the info in that list.